What is Spirit Driven Events - My Spiritual Journey with "Jack the Ripper" and the Pleiadians? My spiritual journey with “Jack the Ripper” and the Pleiadians began several lifetimes ago with my first book Spirit Driven Events–Fascinating and Enlightening True Stories. This spiritual journey continued into my authoring three more books, Spirit Driven Events–“Jack is Back!”, Spirit Driven Events–God’s Bait and Pawn: Jack is Gone!, and Spirit Driven Events II–Fascinating and Enlightening True Stories. Just when I thought this very bizarre and wild journey was over, more spiritual enlightenments continue to unfold! This current book now encompasses my spiritual journeys with “Jack the Ripper” and the Pleiadians in chronological order of events obtained from all four published books (covers pictured to the left) and more. Since this book is non-fiction, hold on to your hats-for you are in for a very bizarre and wild ride! Additionally, I was spirit driven to include a summary on my SDE #323 – Adolf Hitler ERA Reincarnates in this book. This alone is a MUST read for the entire World! ABOUT THE AUTHOR: Mary is a Spiritual Healer, PLR Hypnotherapist, Information Technology Professional, and a Certified Project Management Professional (PMP). 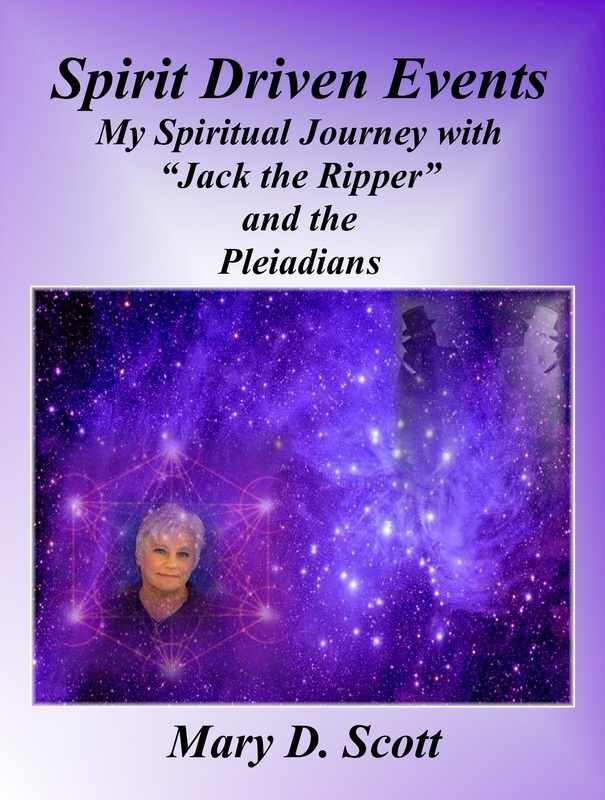 Spirit Driven Events - My Spiritual Journey with “Jack the Ripper” and the Pleiadians is the published accumulation of more than eight years the author has spent dealing with the spirit of the real “Jack the Ripper” and the Pleiadians. "Spirit Driven Events-My Spiritual Journey with "Jack the Ripper" and the Pleiadians". The book is about 150 pages which includes many pictures where spirits were captured. 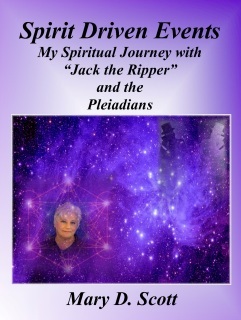 My spiritual journey with “Jack the Ripper” and the Pleiadians began several lifetimes ago with my first book and continued into my authoring three more books. Just when I thought this very bizarre and wild journey was over, more spiritual enlightenments continue to unfold! This book encompasses my spiritual journeys with “Jack the Ripper” and the Pleiadians in chronological order. Since this book is non-fiction, hold on to your hats-for you are in for a very bizarre and wild ride!